An t-amhránaí Pádraigín Ní Uallacháin, láithreoir an chláir "Songs from a Hidden Ulster"
Antaine Ó Faracháin: A Chathail, cén saghas ceoil is mó thaitníonn leat féin? Cathal Póirtéir: Bainim sásamh ar leith as ceol traidisiúnta, as roinnt mhaith snagcheoil, as ceol éadrom clasaiceach agus as rac- agus popcheol go pointe áirithe, más féidir liom brí a bhaint as na focail! AÓF: Cén rud deireanach a raibh tú ag éisteacht leis, mar sin? CP: Van Morrison’s Greatest Hits sa chistin agus an dinnéar á réiteach agam. AÓF: Cé hiad na ceoltóirí nó na hamhránaithe is mó a chuaigh i bhfeidhm ort agus tú ag éirí aníos i nDoire Cholm Cille? CP: Bhí mise i mo dhéagóir ag deireadh na seascaidí agus tús na seachtóidí. Ceol na linne a n-éistinn leis – ó The Beatles, The Stones, The Kinks, Dylan, Leonard Cohen, Rory Gallagher, Janis Joplin go dtí The Chieftains, Planxty, Clannad, The Horselips agus Skara Brae. 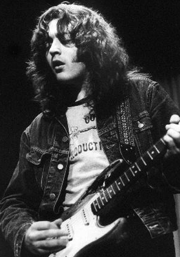 D’éistinn leo ar fhadcheirníní, den chuid ba mhó, agus chuala mé cuid acu beo – Rory Gallagher, The Chieftains, The Horslips, Clannad, The Dubliners agus aon bhanna ceoil mar sin a bhí sásta seinm thart timpeall ar an iarthuaisceart sna blianta sin. AÓF: An dtaitníonn na ceoltóirí nó na hamhránaithe céanna leat anois fós? eá sásta oíche a chaitheamh ag éisteacht le haon duine de na ceoltóirí a thaitin go mór liom ag an am sin. Ach, ar an drochuair, fuair cuid mhaith acu bás le dhá scór bliain anuas. Is dócha gurb iad na cineálacha ceoil a mbím ag éisteacht leo faoi láthair ná ceol traidisiúnta agus snagcheol, ach faighim dlúthdhioscaí ar iasacht ó m’iníon anois is arís má chloisim go bhfuil sí ag éisteacht le Joni Mitchell, Bob Dylan, Led Zeppelin nó Ella Fitzgerald. Is cúis iontais dom é go gcuireann sí dúil iontu chomh maith leis an gcíréib chomhaimseartha a réabann an teach agus í ina seomra! AÓF: An seinneann tú aon uirlis tú féin nó an gcasann tú amhráin? CP: Ní sheinnim aon ghléas ceoil agus ní ardaím mo ghlór ach amháin má bhím cinnte nach bhfuil ceoltóirí in aice láimhe lé mé a chloisteáil! AÓF: Tá roinnt cláracha déanta agat thar na blianta a bhaineann, ar bhealach amháin nó ar bhealach eile, leis an gceol nó leis an amhránaíocht dhúchasach. Inis dúinn beagán fúthu sin. Mullen agus Gearóidín Bhreathnach. Tá sraitheanna déanta agam fosta a bhí dírithe ar ghnéithe áirithe de thraidisiún na hamhránaíochta agus na filíochta. Le bliain nó dhó anuas, bhí sraith dar teideal “Songs from a Hidden Ulster” á léiriú agam a bhí bainteach le hamhráin agus le ceol thraidisiún Oirialla a bhí imithe i léig. Chuir an t-amhránaí Pádraigín Ní Uallacháin, a raibh leabhar dar teideal A Hidden Ulster díreach curtha i gcrích aici, an tsraith i láthair. Bhí an Aisling i gceist ag Breandán Ó Buachalla nuair a chraol muid an tsraith “Aisling Ghéar”, a bhí bunaithe ar fhilíocht pholaitiúil na Gaeilge sa seachtú agus san ochtú haois déag. Faoi láthair, tá sraith á léiriú againn atá bunaithe ar leabhar Ríonach uí Ógain dar teideal Mise an Fear Ceoil: Séamus Ennis - dialann taistil 1942-46. Tá focail Ennis féin le cloisteáil sa tsraith agus é ag déanamh cur síos ar na ceoltóirí a casadh air sna blianta sin agus é ag bailiú amhrán agus ceoil i gConamara, i dTír Chonaill, i gContae an Chláir agus i gContae Mhaigh Eo do Chnuasach Bhéaloideas Éireann. Tá cuid de na ceoltóirí sin le cloisteáil sa tsraith agus cuid de cheol Shéamuis Ennis féin.AÓF: Cén chaoi a roghnaíonn tú ábhar do chlár mar sin, nó cén próiseas atá agaibh le clár mar sin a chur le chéile? An mbíonn sé deacair teacht ar an mbunsmaoineamh? CP: Tagann na smaointe as gach aon áit – as a bheith ag caint le daoine nó ag léamh leabhar nó ag freastal ar chomhdhálacha nó ar léachtaí. Tagann siad agus mé ag éisteacht le ceol nó leis an raidió nó ag breathnú ar an teilifís. Ní hé easpa smaointe a chuirfeadh as do dhuine, ach an t-am a fháil le hiad uilig a dhéanamh agus an t-am a aimsiú le hiad a chraoladh. AÓF: Caithfidh go bhfuil go leor ábhair i gcartlann cheoil RTÉ. An mbíonn tú á húsáid go minic? CP: Tá saibhreas cainte agus ceoil ar féidir liom tarraingt air má oireann sé do na cláracha atá ar bun agam. AÓF: An bhfuil an chartlann sin ar fáil in aon áit don phobal? CP: Tá cuid den ábhar curtha ar fáil ar dhlúthdhioscaí agus ar DVDanna agus tá siad ar fáil go poiblí. Is féidir éisteacht le cuid den ábhar cartlainne ar shuíomh gréasáin RTÉ agus is féidir le taighdeoirí fiosruithe a dhéanamh le lucht na cartlainne faoi cheol agus faoi cheoltóirí, i measc rudaí eile. AÓF: An bhfuil aon chlár nó sraith ar leith de do chuid a bhfuil tú thar a bheith bródúil as? ór. Bhí dhá cheann acu siúd bunaithe ar an stairsheanchas a bhailigh Coimisiún Béaloideasa Éireann ón tréimhse sin. 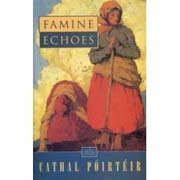 Ba iad teideal na sraitheanna sin ná “Glórtha ón Ghorta” (don ábhar a bailíodh i nGaeilge) agus “Famine Echoes” (don ábhar a bailíodh i mBéarla). 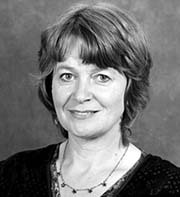 Cuireadh leaganacha de na sraitheanna sin ar fáil mar leabhair chomh maith agus bhí ráchairt orthu. B’iontach an méid litreacha agus glaonna a fuair mé ó dhaoine ar fud na tíre mar gheall orthu. 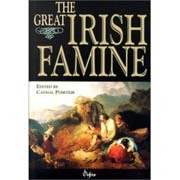 Léirigh mé sraith de Thomas Davis Lectures dar teideal “The Great Irish Famine” agus nuair a foilsíodh an tsraith mar leabhar bhí sé ar an leabhar ba mhó díol in Éirinn, de réir na gcairt, ar feadh tamaill. Tá sé ar fáil go fóill. AÓF: Chomh maith le tú a bheith i do léiritheoir raidió, is file tú freisin. An luíonn an dá ghné sin de do phearsantacht go nádúrtha lena chéile? An raibh an “bheirt Chathal” sin riamh in adharca a chéile? CP: Níor fhás adharca riamh orm!Is amhránaí, ceoltóir, múinteoir agus fear spraoi é Antaine Ó Faracháin. Is as Baile Átha Cliath ó dhúchas é.